If you need a roofing company to handle your commercial or residential roof repair, roof replacement or roof restoration, call us first. CRC serves the entire Houston area, and can handle everything from fixing a leaking roof to giving you a new cool roof, on any type of property. We’ll give you a free on-site estimate — call us today! We know there are a lot of roofing companies in the area, but we think our level of service and dedication to our clients sets us apart. We’ve got over three decades of experience in the area, and we know how to save you money on your roof. Whether you are in need of a roof repair because your roof is leaking, or it’s time to replace your existing rooftop, let us be the team to do the job right for you. Our roof contractors are specialists in cool roofs, which can give your building a whole new level of protection and save you money, all without a re-roof (in many cases). These cool roofs are extremely energy-efficient and can lower your energy bills, and mean less repairs on your cooling system. When you want a roofing company who can not only give you a cool roof, but save you money while doing it, you want us! In fact, many of our customers have reported savings on their energy bills of up to 25%, even 50% or more, and their roof actually paid for itself within several years. Call us to schedule your free estimate today! Our company started out as solely a commercial roofing company. Today, we service a wide range of areas, but we still have the same passion and commitment we’ve always held for commercial roofs. 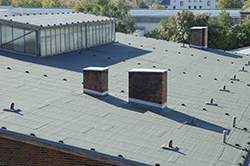 Our team is dedicated to giving you the best commercial roofs available on the market today, through installations, replacements and repairs, using the highest-quality materials for your needs. Whether you’re interested in getting a cool roof to save your company money every month on your energy bills, or simply making the necessary repairs to hold off on a new roof for a while, when you call on us to be your roofing company, we can help. 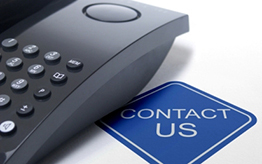 Whether you need residential roof repair due to your roof leaking, or you are looking to replace your roof, call us! Our roof contractors are fully professional at all aspects of residential roofs, and can help you make the best move for you situation. Maybe your roof is aging, or needing continual repairs, but you aren’t ready for a re-roof yet? No worries, we can help you do a full restoration on your home’s roof, and extend its life, without a tear-off. CRC can also install all types of roofs for your Houston home, including metal, shingle, and tile roofs. Our residential roofers are standing by to give you the home you’ve always dreamed of — call us today and schedule your free, on-site estimate! We have some of the best roofers in Houston on our team, and have made a great reputation for ourselves by providing consistently superior results for our clients. If you’re searching for a roof contractor who can handle your residential or commercial roof, who can do not only roof replacements and installations, but also repairs that last, call us. One of our staff will come out to your property to do a free, on-site estimate, and let you know what it would take to give you the roof you want, and that your building needs. 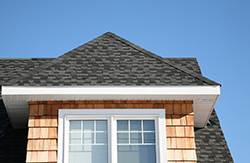 The specialty of our roofing company is energy-efficient roofing, namely the cool roof. This revolutionary design is the hottest thing in the roofing industry right now, since it actually saves you 25-50% on your energy bills! Not only that, but your AC has to work so much less, that it actually extends the life of your HVAC equipment, too! If you want to start saving money fast, ask us about an energy efficient roof that can pay for itself in a matter of years! 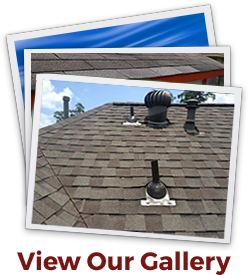 Call us when you need a roofing company in Houston and all surrounding areas. We’ve been in business since 1981 and have hundreds of happy customers to show for it. We look forward to handling any of your roofing needs next, just give us a call!